DTS:X is an object-based audio codec, which aims to create a multi-dimensional sound that “moves around you like it would in real life”. 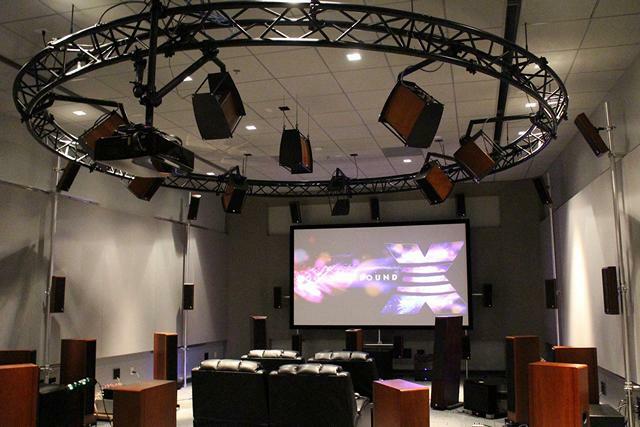 The technology has its roots in the 3D surround sound format developed by Santa Ana, California-based sound engineering company SRS Labs, which was subsequently acquired by DTS in 2012. DTS:X works with “any speaker configuration with a hemispherical layout”, thanks to the use of the Multi Dimensional Audio (MDA) platform, which is an open and royalty-free standard that allows sound engineers to isolate each individual sound object and, control their placement, movement and volume separately irrespective of the channel assignment or speaker layout. 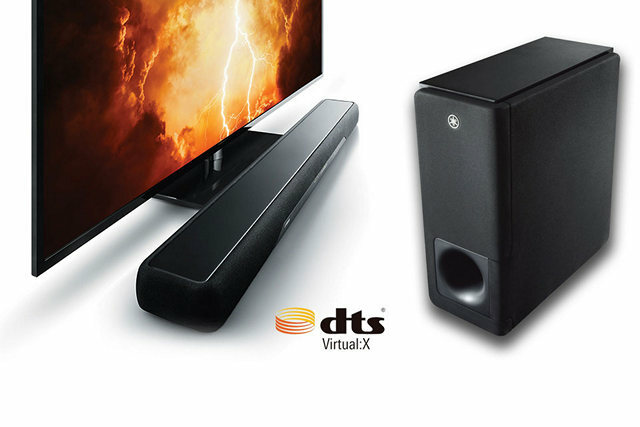 In the simplest of terms, DTS Virtual:X aims to deliver the three-dimensional surround sound of DTS:X without all the extra speakers. The company does this by using special digital signal processing instead of reflecting sound off your walls to simulate the surround sound experience. 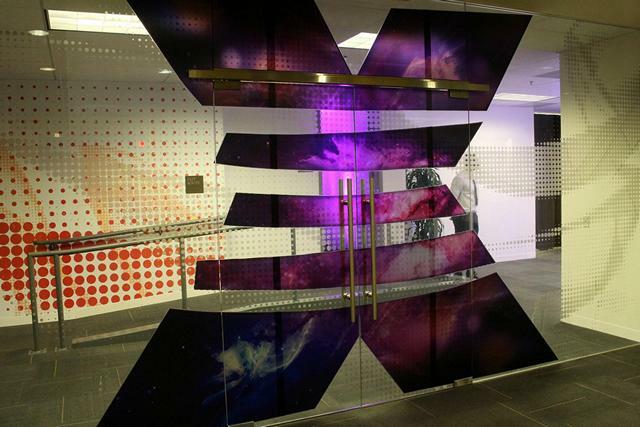 To get the desired effect, DTS:X uses only two channels and a separate sub-woofer. However, like photos and videos, digital processing can replicate real-world scenarios only up to a point, but it does give you a relatively-immersive acoustic experience even if your house or apartment has an open-floor plan. 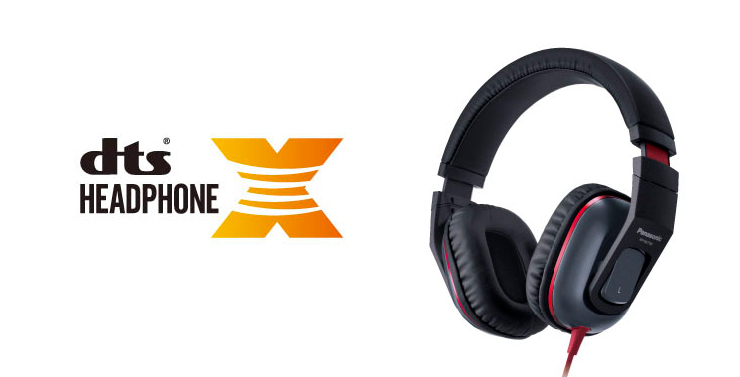 As is evident from the nomenclature, DTS Headphone:X brings the 3D surround sound experience of DTS:X to a headphone near you. The technology can simulate the 3D environment of the original mixing stage of any audio input in order to produce 12 channels of binaural surround sound, thereby creating an immersive, cinematic audio experience for the listener. 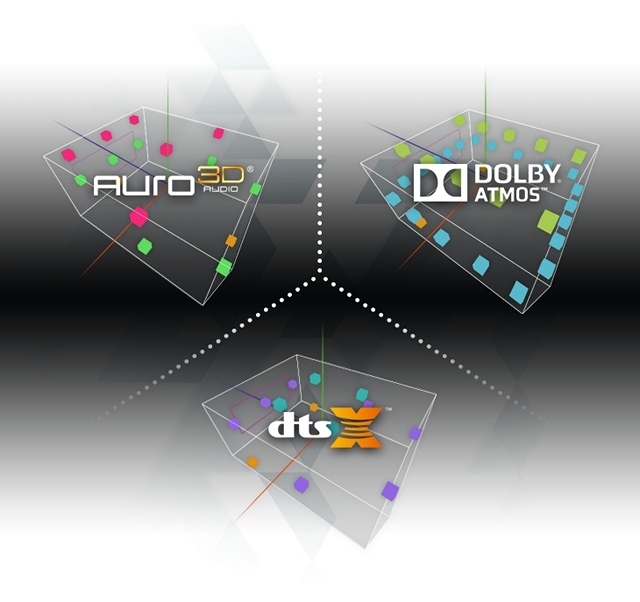 While DTS:X is a compelling 3D surround sound technology, it is competing in a market that is getting increasingly competitive, with technologies like Dolby Atmos, Auro 3D Audio, Audyssey DSX/DSX2, etc. vying for the consumers’ mindshare and marketshare. However, the real battle is brewing between Dolby Atmos and DTS:X, seeing as most A/V manufactures are preferring to stay away from Audyssey DSX/DSX2 and choosing instead to go with DTS:X and Dolby Atmos, even though, unlike these two formats, Audyssey DSX does not require specific encoding on the source end. As for Auro 3D Audio, it can be added to compatible A/V receivers via a firmware update. However, it has proved to be a bit of a hard-sell over the years, seeing as unlike either DTS:X or Dolby Atmos, the Auro 3D firmware actually comes with a fee that’s typically around the $199 mark in the U.S. and €149 in the Eurozone. DTS:X vs Dolby Atmos: How Do They Compare? Much like DTS:X, Dolby Atmos is also a relatively new surround sound technology that promises to deliver dynamic audio by adding a height element to a typical surround sound system to create a multi-dimentional 3D audio experience. However, one of the main differences between the two technologies lie in the speaker configuration that’s needed to implement them. While Dolby Atmos requires extra overhead channels to be added to a standard 5.1 or 7.1 setup, DTS:X works with standard surround sound setups right out-of-the-box, eliminating the need for additional speakers. If you want to get an in-depth perspective on some of the major differences between DTS:X and Dolby Atmos, do keep an eye out for our detailed comparison which should be out fairly soon. With DTS:X already starting to become fairly popular, most of the newer home theater receivers are starting to ship with support for the format out-of-the-box. Quite a few of the older ones are also potentially compatible with the technology subject to a firmware update. 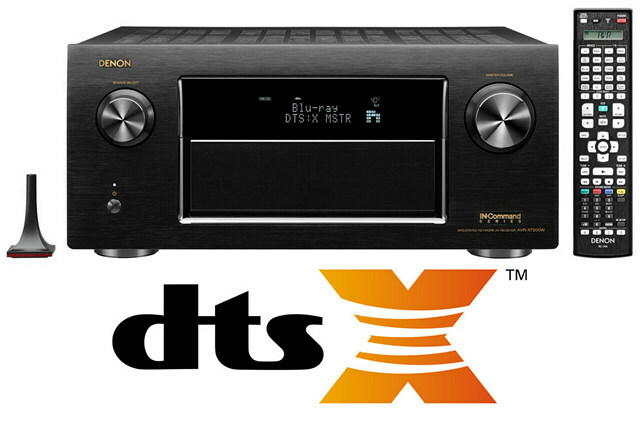 Several reputable brands, such as Anthem, Arcam, Denon, Krell, Logitech, Marantz, Onkyo, Pioneer, Sony, Trinnov and Yamaha offer DTS:X-compatible A/V receivers, and many have already released new firmware to make their older gear compatible with the new technology. There are also a plethora of choices available if you’re looking to buy speakers compatible with DTS:X and headphones compatible with DTS Headphone:X. For the sake of technicality, we need to mention that DTS:X requires your Blu-ray player to support DTS-HD Master audio plus bitstream output, but since these features are found on virtually every Blu-ray player released in the last decade, chances are, you need not worry too much about that. So chances are, you may not actually have to invest in either a new receiver or a Blu-ray player for the immersive DTS:X experience. In terms of content, dozens of movies released by major Hollywood studios like Paramount, Universal, Lionsgate etc. are encoded with DTS:X, including well-known titles, such as Apollo 13, Snow White and the Huntsman, Fifty Shades of Grey, The Bourne quadrolody (Identity, Legacy, Supremacy and Ultimatum) and Zoolander 2, among others. Is DTS:X The Future of 3D Surround Sound? DTS:X brings quite a few novel features that are unavailable with some of the other 3D audio formats. What’s more, in most cases you don’t even need to upgrade your hardware for the full DTS:X experience. 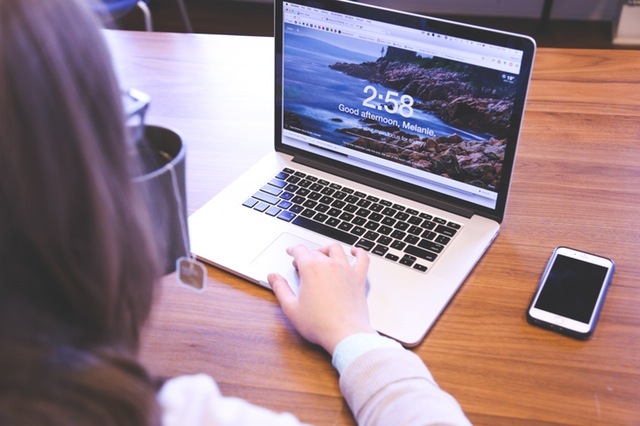 All of that makes it a lucrative proposition for consumers, but as is the case with most format wars, the success or failure of either depends more on the support it receives from its OEM partners than from how the public really perceives it. Right now, it’s too early to declare winners and losers, but it will be interesting to see how DTS:X competes with all its competitors going forward. With Dolby Atmos way ahead in front on account of its earlier launch, DTS Inc. is already a little behind the 8-ball, but with everything still left to play for, it will be interesting to see which platform comes up trumps when the dust settles over what promises to be a much more closely-fought contest than Betamax vs VHS or HD-DVD vs Blu-ray. In case you’re already using a DTX:X-based surround sound system or have an opinion on the subject one way or another, do sound off in the comments section below, because we love hearing from you.